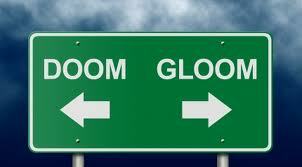 DIY Income Investor: Doom and Gloom...and Bargains? Share prices have been pushed remorselessly down during May, but as the UK Taxman has just given me some money, I am a cautious buyer. The generosity of the Taxman is due to an investment in a SIPP (Self-Invested Personal Pension) for my non-working spouse. Very kindly we are given £720 for saving £2880 in the SIPP - this represents an immediate 25% return! Not a bad start. But what to invest in, with Europe crashing around our ears? The DIY Income Investor approach is based on obtaining the highest yield on our savings and investments, consistent with safety of capital and income. To obtain the best returns we DIY the investment process and try our utmost to avoid paying tax. We also diversify to reduce risk. The level of cash you hold will be determined partially by holding onto a solid 'emergency fund' to pay for any unforeseen expenditure plus as much cash as you can hold without paying tax on it. At the moment we are about equally invested in shares and fixed-income, so there is potentially a lot of choice for the SIPP. The first place I look for investment ideas is the existing portfolio itself, to see if there are any investment that are performing well that I could add to. I don't like to hold more than 5% of the portfolio in any one security - so that implies over 20 holdings. All my existing fixed-income holdings are 'overweight', so I don't want to add to any of them. This is a pretty strong group of high-yield shares, although there is an obvious concentration on the insurance sector. The only 'diversifier' is First Group, which is unfortunately looking a bit shaky at the moment. I am also 'underweight' in Standard Chartered 8.103% Perpetual (ESC6) (a corporate bond without a maturity date), currently yielding nearly 8% (with a slightly lower gross redemption yield). So, that's a couple to check out in more detail. Again, the Toolbox page gives a number of sources of information on gilts, corporate bonds, PIBS and preference shares. Perpetual UK Gilts are yielding only 4% - although this is a relatively 'safe haven' you are going to struggle to keep up with inflation with these. So, no thanks. Ulster Bank 11 3/4% Sub Bonds (FAP) has a good yield - but is a subsidiary of the Royal Bank of Scotland (which is perhaps a two-edged sword: RBS is supported by the UK government but needing to sell some of its operations to fill a financial black hole); Ulster Bank has apparently been a 'profound' problem for RBS; there may also be 20% tax deducted at source by the Irish tax authorities and the sell/bid spread is wide. This quick overview of potential new investments shows - hopefully - that, despite a torrid month for stock markets (or perhaps because of it), there is no shortage of attractive yields available for dividend shares as well as many types of fixed-income securities. Before selecting any of them a fair bit of DIY research will be needed. Very Informative Blog, especially in relation to High Dividend Shares and fixed interest accounts. Would appreciate a future update about SIPP's and an explanation about the addition of the £720 to the £2880 and how they can be used in addition to ISA's, or should one just stick with ISA's. I talk about the SIPP 25% instant return elsewhere on the blog - it relates specifically to a maximum total £3600 contribution for a non-taxpayer. Suitable for spouse or kids. I can't advise you directly (as there are too many variables - the whole point of the blog is to go DIY! But hopefully you'll find a lot of snippets of info here. The key point is to have a plan/spreadsheet of future costs and income and arrange your financial affairs to minimise tax and maximise returns consistent with limiting risk.